Typical homeowners policies cover disaster damage such as lightning, hail, explosions, theft and lightning and do not cover damage from earthquakes, floods or lack of regular maintenance. Your personal items and possessions. Cost of living expenses accrued while your home is being repaired, such as the additional cost of living away from your home during repair. When purchasing homeowners insurance you will need to insure your home to cover the cost of rebuilding at current construction costs. Land is not included when determining how much insurance is needed to rebuild. Current construction costs may be more or less than your home was built for. Most banks require homeowners insurance coverage that covers the amount of the mortgage, however if you will need to make sure that the coverage is enough to fully rebuild your home. Also, keep in mind homeowners insurance covers your investment, even if your home is paid off, thus make sure to keep your policy to protect your investment. To create an estimate of the insurance needed you can multiply the total square footage of your home by the estimated local building costs. Check with a real estate agent or a builders association for that information. *Typical homewners policies cover disaster damage such as lightning, hail, explosions, theft and lightning and do not cover damage from earthquakes, floods or lack of regular maintenance. These policies are designed to cover the cost of the repair or replacement of the damaged property while using repair materials that are similar in kind and quality. There are no deductions for depreciation in value due to age and wear and tear amongst other factors. In the event that you will be displaced due to home repairs due to disaster and loss standard homeowners policies cover temporary living costs. Costs include hotels, restaurant meals and other living expenses while you are temporarily displaced. Adding an inflation guard to your policy will adjust the dwelling limit to reflect current construction costs when you renew your policy. Some insurance companies will not offer a standard replacement cost policy if you own an older home, they may however offer a modified replacement cost policy. The modification means that instead of rebuilding your older home to exact original specifications the policy will use standard materials and construction methods that are currently used. Possessions can be insured for either their replacement cost or their actual value. Cash value policies pay for the replacement of your possessions minus the depreciation (decrease in value) over time. A replacement cost policy covers the full cost to replacing the item. Replacement cost coverage is generally about 10% more than Cash Value coverage. This is designed to protect against rising construction costs due to heavy demand on construction workers and materials after a major disaster such as a tornado or hurricane. 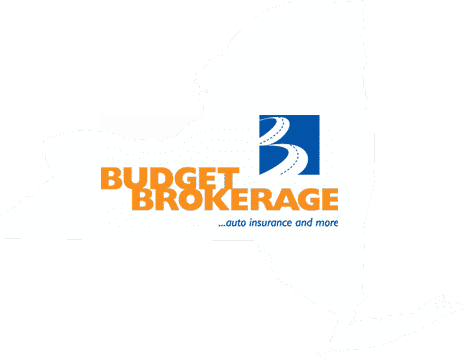 The extended replacement cost policy pays an additional 20 percent or more above limits depending on the insurance company and policy language. A guaranteed replacement fully pays the cost of rebuilding regardless of total cost in order to get your home back as it was prior to fire or other disasters. With local ordinance or building codes changing periodically since the original construction of your home insurance carriers may offer additional protection should your home become damage and need repair that will bring your home up to current code standards. Typically homeowners policies won’t pay the funds needed to build your home to current standard unless you have an Ordinance and Law endorsement. Endorsements are attached to insurance policy and change what the policy will cover. Liability covers you against bodily injury or property damage caused by you or family members and also covers damage caused by pets. It also pays for defending you in court and any damages that are ruled that you are ordered to pay. Homeowners insurance policies usually cover for a minimum of $100,000 in liability. Higher amounts are available and homeowners are recommended to consider upwards of $500,000 in liability protection. As a rule of thumb it is recommended that you have enough liability coverage to protect your assets. Therefore you should have enough to cover your worth and include items such as property, investments and savings you have. If those items are worth more than liability limits on your policy you should consider purchasing excess liability or an umbrella policy. Ask your representative about excess liability and umbrella policies to determine your need. When insuring items such as jewelry, antiques and other collectibles that are expensive items there are typically coverage limits. Jewelry is usually limited to $2,000 or less. There may also be limits on what will be paid for electronic items such as computers or other entertainment devices. Ask your representative what your actual coverage is. You may want to consider purchasing a personal property floater or endorsement that will insure items either individually or as a collection. To determine the value you can either have your items appraised or provide your agent with receipts of your purchases. Generally your possessions are covered for approximately 50 to 70 percent of the amount your structure or “dwelling” is insured for. Typically the limits of the policy are shown on the Declarations Page under Section I. You will need to conduct a home inventory to decide if there is enough coverage for your possessions. The home inventory details the types of items you have and the cost to replace them if they were destroyed or stolen. If your possessions value exceeds your coverage amounts you can contacts your representative and ask for an increase in limits.